HARARE, Zimbabwe (AP) — Zimbabwe’s leader says he is willing to offer land to President Donald Trump to build a golf course in a national park teeming with wildlife. 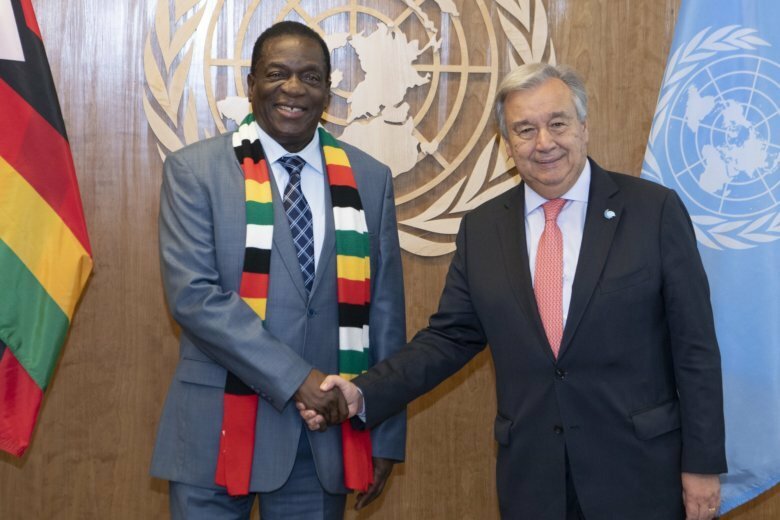 President Emmerson Mnangagwa was speaking to a New York investors’ forum ahead of his first address to a United Nations annual gathering of world leaders this week. Mnangagwa said he made the offer to Trump staffers earlier this year at the World Economic Forum in Switzerland, pitching land in the tourist town of Victoria Falls. Trump is a keen golfer. “I had offered President Trump ground to build a state-of-the-art golf course so that as he plays he can be able to see the big five,” Zimbabwe’s president said. The “big five” refers to big game: lion, rhino, elephant, buffalo and leopard. Mnangagwa is trying to warm up to the United States in a sharp departure from his predecessor, Robert Mugabe, whose icy relations with Western countries over human rights abuses led to sanctions. U.S. sanctions remain on Mnangagwa and others in the southern African nation, but that’s not stopping him from seeking investment in an economy that has long collapsed. He took office in November after Mugabe resigned under military pressure. He narrowly won a disputed election in July. Trump’s sons visited Zimbabwe on a 2010 hunting trip that caused some furor on social media after photos of them posing next to carcasses of animals that included an elephant and a leopard surfaced in 2016.